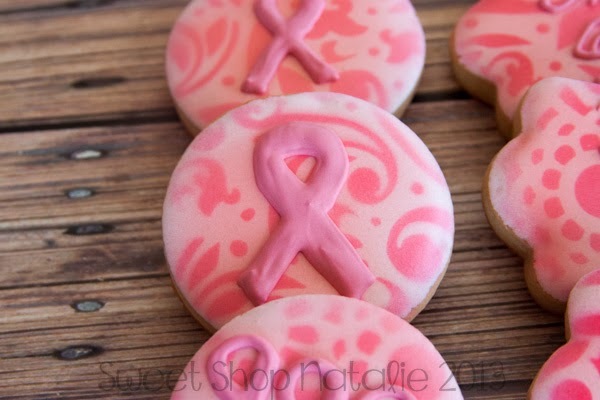 Sweet Shop Natalie: Cookies For Breast Cancer - Are you aware? 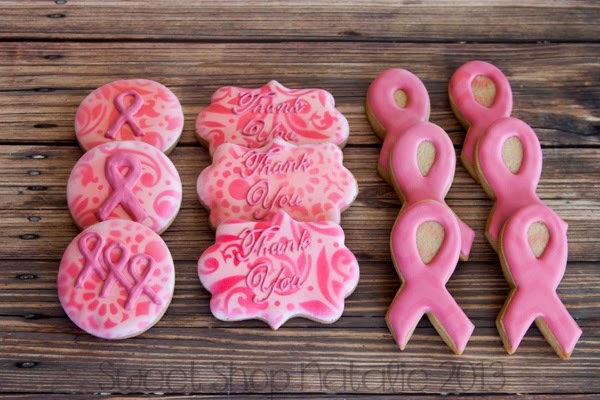 Cookies For Breast Cancer - Are you aware? This order was for Meggan, she is the girlfriend of my most favorite customer and close friend younger brother. Meggan was diagnosed with cancer a few months ago and a Pink party was thrown for her and she wanted to thank the lady who organized the party. 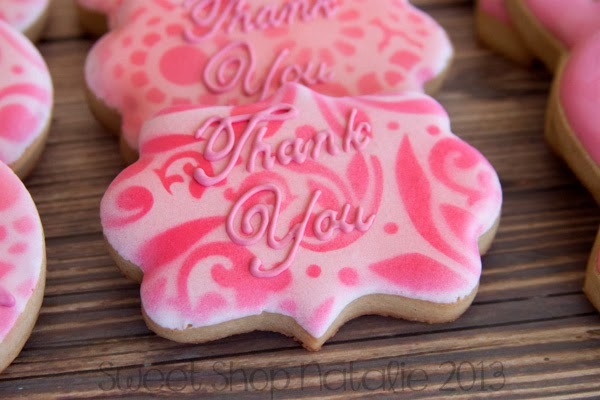 I had ordered a ribbon stencil that I wanted to use on these cookies but unfortunately it did not make it in time to use on this order. But I think they still turned out great. My heart always breaks when I hear someones cancer story. I hope and pray that Meggan will be able to win this battle she is faced with! I hope that more and more people will be aware of breast cancer. 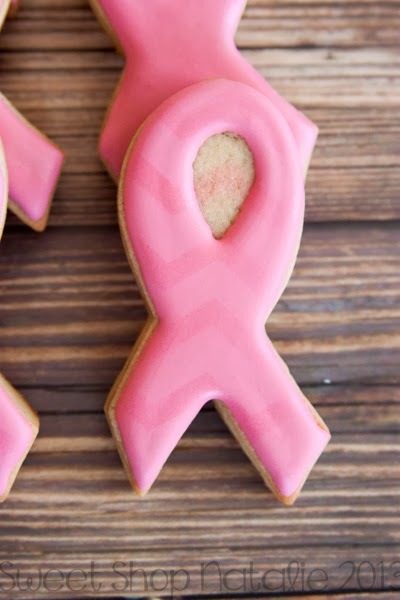 Monthly self exams and mammograms save lives so please do them regularly!